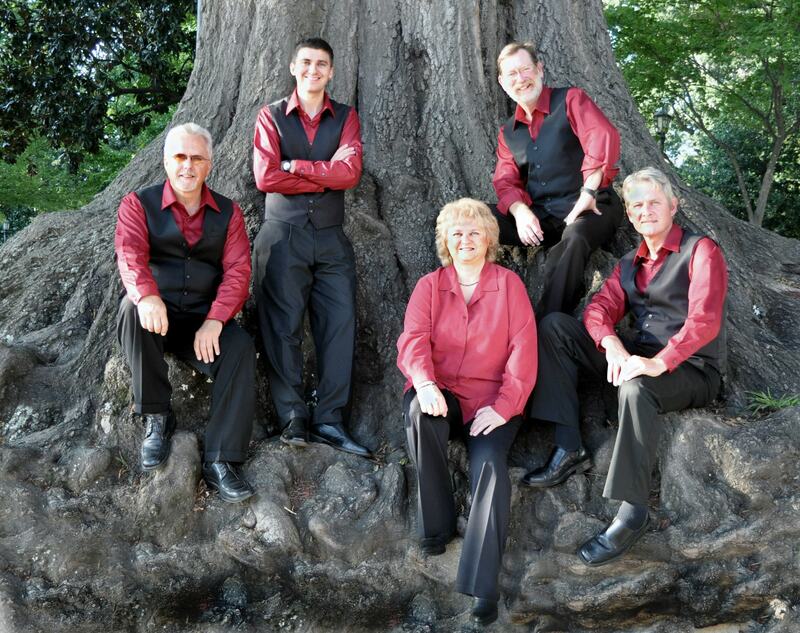 Let’s have some bluegrass for Christmas! It’s time for the Christmas In The Smokies Bluegrass Festival again, happening in Pigeon Forge December 7-10, 2016. Led by Lorraine Jordan & Carolina Road, the festival features a host of great performers at Smoky Mountain Convention Center at 4010 Parkway (close to Light #8) in Pigeon Forge. Tickets are available at the door (including a general admission ticket), and the music starts at 5 pm on Wednesday the 7th. Shows start at 4 pm on Thursday, and 11 am on Friday & Saturday. And on Friday there’s a late-night jam session after the show. This is a family-friendly good time. Lorraine Jordan has been coming over to Pigeon Forge from her North Carolina base for several years now with her Christmas show. The acclaimed performer of her “Country Grass” fusion of country and bluegrass, known as the Lady of Tradition – and awarded 2015 Female Traditional Vocalist of the Year – also fronts one talented band of musicians, and attracts many other top-notch bands from all over, to play in the festival. The lineup this year includes: Doyle Lawson and Quicksilver, Ralph Stanley II, The Grascals, Goldwing Express, Larry Stephenson, Edgar Loudermilk, Sideline, Williamson Branch, Ronnie Reno, Dean Osborne, Lonesome River Band, Paul Williams, A Deeper Shade of Blue, The Moore Family, Balsam Range, Larry Efaw, The Blue Mountaineers, Mark Templeton, Garrett Newton and Tommy Long. Wow! Tickets are not currently sold out, and you can usually just show up, but call the information line at 919-779-5672 anyway just to confirm before you go. This year Lorraine has chosen to make a great gesture of support to her beloved area, offering a special general admission $15 ticket for Friday and Saturday night, and donating the proceeds to the Dollywood Foundation’s Smokey Mountain “My People” fund, which is Dolly Parton’s disaster relief fund to help residents impacted by the recent wildfires. Pigeon Forge mercifully was untouched, and as Gatlinburg gets ready to reopen for the Christmas celebrations, everyone in the area feels like some music – and that’s bluegrass music of course. 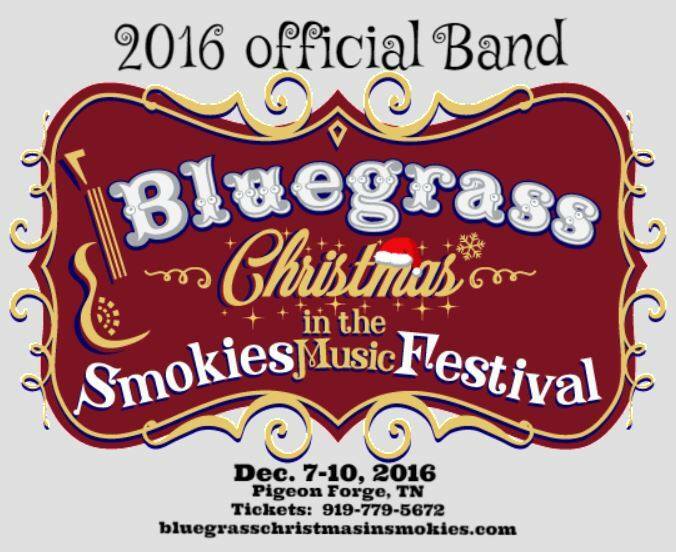 For more information on the 2016 Christmas In The Smokies Bluegrass Festival in Pigeon Forge, December 7-10 (and to listen to selected cuts from some of the bands) check the festival website. And here’s the Facebook page and the band schedule.